You wish to go to Singapore in Singapore in august : check the weather and seasonal norms below. The weather in Singapore in the month of august comes from statistical datas on the past years. You can view the weather statistics for all the month, but also by using the tabs for the beginning, the middle and the end of the month. The weather conditions in August are relatively good in Singapore. Temperatures like the frequency of rain show a slight variation over the days. In general, the climate throughout August in Singapore provides the opportunity to have a pleasant stay. Just be attentive to the rainy episodes! 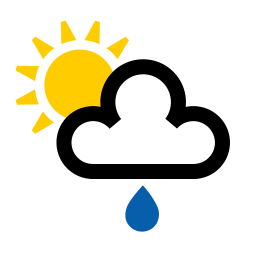 Chance of thunderstorms in the morning are high during the first ten day period of the month. Moreover, the heat is felt in the early hours of the day. Thanks to the sea breeze however, it is possible to feel comfortable. In the middle of the month, the weather is more humid and the heat is still felt from morning till night. Sometimes the showers that occur in the middle of the day turn into very intense rains and may come as a surprise. For outings, watch the cloud thinnings that promise beautiful sun. Thanks to the regression of temperatures, the heat is less overwhelming during the last ten days of the month. Even if the showers continue to manifest, they dissipate quickly enough to leave room for sunny spells and warmth, favoring a magnificent weather in Singapore throughout August. The weather in august in Singapore is wet (with 147mm of rainfall over 24 days). The weather's not getting better compared to the previous month since in july there is an average of 122mm of precipitation over 24 days. The climate is very warm in that area this month. The thermometer averaged maximum of 33°C. The minimum is 29°C. Thus, the mean temperature average in august in Singapore is 31°C. Note that seasonal normals are in contrast with those observed in Singapore in the month of august with a maximum record of 37°C in 2016 and a minimum record of 9°C in 2018. You can expect to have 30°C or more across the month. On average, in Singapore, the days of august last 12:09. 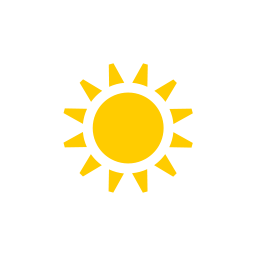 Sunrise is at 07:05 and sets at 19:14. With proper weather, this month is okay (but not good) to go in this locality. Check below seasonal norms These statistics are generated from the weather statements of the last years of august. Weather data for Singapore for august are derived from an average of the weather forecast since 2009 in Singapore. There is a margin of error and these forecasts are to be considered as general information only. The weather in Singapore can vary slightly from year to year, but this data should limit surprises. So you can pack your bags or check for the best time in year to go to Singapore. Best time to go to Singapore?